ELEPHANTS in the Ozondati area continue to pose a threat to its residents. Traditional Authority Councillor of Ozondati, Fabianus Uaseuapuani, said the elephants in the area continue to wreak havoc in the area and were spotted in the areas of Omatjete, Okotjize, Omutuanduko and Okongue just last week. “Last week the elephants were spotted walking between houses in the villages and damaging property,” said Uaseuapuani. He added officials from the Ministry of Environment and Tourism came to assess the situation, but that they haven’t received any feedback on whether or not the animals will be relocated. 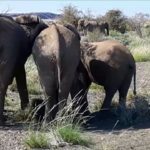 Uaseuapuani further stated that the presence of elephants in the Omatjete reserve and its surroundings poses a threat to the lives of residents. Not only do the elephants endanger their lives, but they also destroy crops and water point terminals, making life extremely difficult for the residents. According to residents, a man was killed mid-last year after he was trampled by an elephant. He was attending to his goats at a water point in the Otjohorongo area, when the incident happened. Although he tried to run away from a charging elephant, another one trampled him. He died instantly. 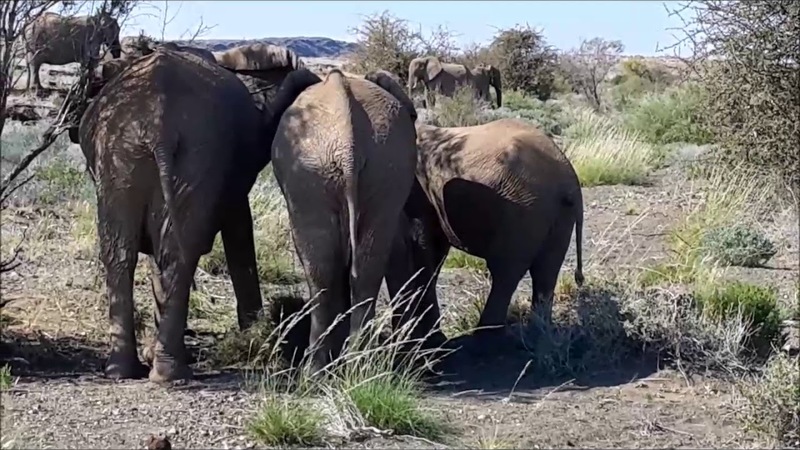 The Councillor said elephants also destroyed a water point, and a garden and a woman was traumatised by elephants destroying her traditional house, while inside the house with her baby. Fortunately, the mother and baby managed to escape. The Minister of Environment Pohamba Shifeta will be visiting the area on Sunday to celebrate international Wild Life day by handing over mitigation equipment to the community of Omatjete.